Following the completion of a Medical Science degree in 2006 from Leeds University, Nikki embarked upon dentistry at Newcastle University graduating in 2011 with a Merit in clinical dentistry. She joined the family business in 2012 where is has subsequently gone on to excel both academically and in her management position within the practice. Nikki gained Membership to the Joint Dental Facultative (Royal College of Surgeons) in 2012, and a Distinction in 'Facilitating Health Care Learning' from the University of Central Lancashire in 2014. She has implemented many beneficial changes to the practice both clinically and administratively, and aims to build on her academic prowess, increasing her management experience and meeting the ever new challenges facing dental healthcare. 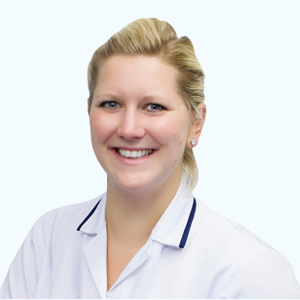 Nikki is an active member of the Local Dental Committee which represents local dentists within the NHS, and meet on a regular basis to discuss issues affecting the profession and liaise with other regional and national bodies to promote positive change. Outside of dentistry, Nikki enjoys long walks with her dog, tending to her allotment, travel, cooking and swimming.